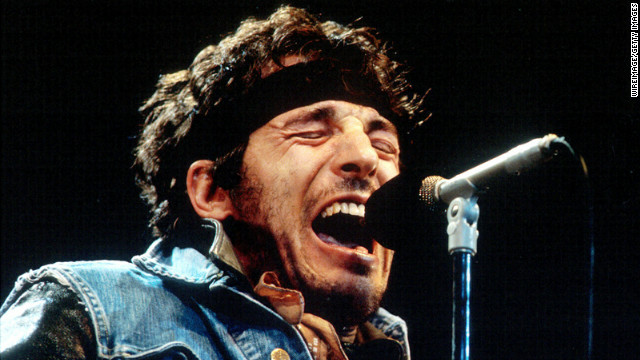 Track-by-Track: Bruce Springsteen’s “Born in the U.S.A.” | Geeking out about a lot of things. 30 years ago last month, one of the most iconic American albums of all time was released and sent its artist into the realm of super-stardom. I’m talking, of course, about Bruce Springsteen’s Born in the U.S.A., and with Independence Day coming in just a matter of days, I can’t think of a better time to look back on the album. Born in the U.S.A. has sold over 30 million copies and has had seven Top-10 singles. Rolling Stone magazine called it the 86th-greatest album of all time, and the album cover is one of the most striking and memorable covers out there. Despite the acclaim, some fans see this as Springsteen’s sell-out album, coming off a streak of classic albums such as Born to Run, Darkness on the Edge of Town, and Nebraska. Even Springsteen himself has expressed mixed feelings towards the album. While it made him one of the most famous musicians of all time, the “grab-bag nature” of the album, as he calls it, made him reassess his music writing process. 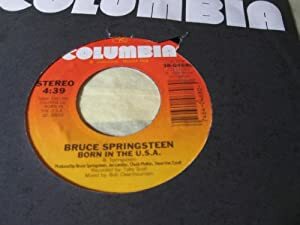 While the love-it-or-hate-it nature of the album has spawned countless debates among fans, there is no denial that Born in the U.S.A. contains some of Springsteen’s most beloved songs. Here, in Track-By-Track, we’ll review each track on the album individually and look at just how iconic these songs are. All in all, the album works, and works very well. Some people say it lacks cohesiveness, but I see Springsteen working in twos, by putting two tracks with similar themes and mood next to each other. The first two tracks deal with ambivalence towards society and trying to find solace. Tracks 3 and 4 are about working class men just trying to get by and searching for a good time. Tracks 5 and 6 explore desperation and sadness. Tracks 7 and 8 are pure audio nostalgia. Tracks 9 and 10 compare present to past, with the realization that the past was better. All in all, this pattern works, and because of it, many different emotions and themes are touched upon and explored. Born in the U.S.A. is a journey through emotions, and has something for everyone in any mood. It’s an epic compilation of some of Sprinsteen’s best and funnest songs, with enough of a pop feel to make it accessible to a broad audience. Without this album, Springsteen’s popularity may not have prolonged as long as it has, meaning we may not have seen the fantastic albums he still puts out today (The Rising, Magic, and Wrecking Ball rank among some of his best). Therefore, not only is it a fantastic album, it’s a very necessary album based on the effect it had on the Boss’s career since. Born in the U.S.A. has stood the test of time in the 30 years since its release, and still has fans discovering the musical genius of Springsteen in its contents today.